Antiquity 2.0 is a response to Gladiator, Ridley Scott’s cinematic marvel from 2000. The film marked the return of antiquity to the big screen (one talks of the epic’s “third golden age”) along with prominent recourse to filming in digital. Thus, a particularly sensitive and current event that demonstrates general interest in antiquity and new forms of manipulating and mediating this historical period. 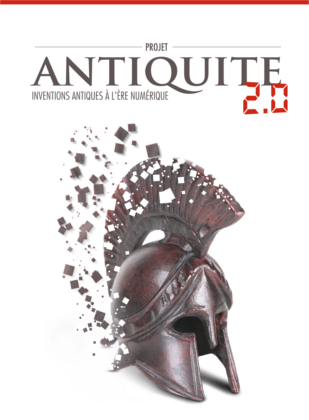 What new tools are used to reproduce antiquity? Which antiquity is invented by today’s cinema, television, video games, video art, multimedia installations, and the Internet? This project aims to analyze the role of the digital medium in contemporary manipulations and mediations of antiquity along two privileged axes: (1) artistic creation and (2) the research and dissemination of knowledge. Specifically, reflection on Greco-Roman history and mythology will be at the intersection of several approaches and levels of analysis: aesthetic, sociological, cultural, technological, economic, historical, ideological, and political. The project entails a one-day working seminar, anticipated for fall 2014, and it will be the forerunner of a larger project on antiquity in the digital age.